Pages allow you to add static pages of content to your account. 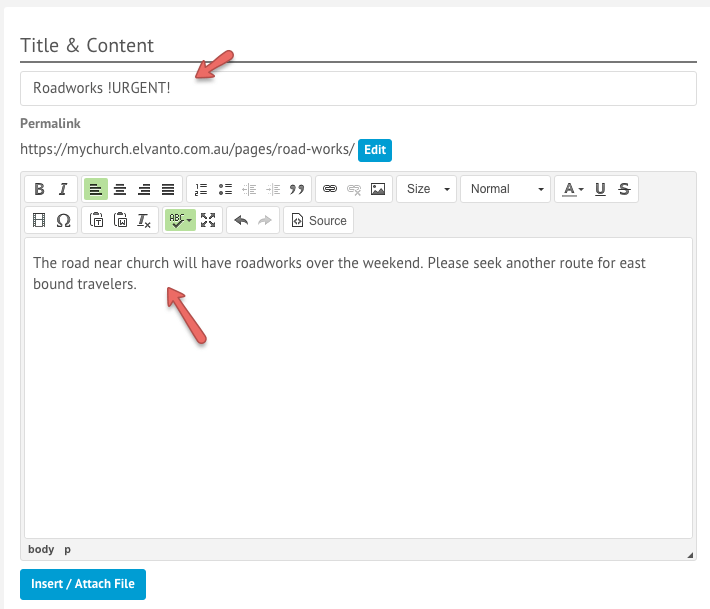 An example of a static page could be an about page that displays information about volunteering in your church. These pages can be accessed from the Member Area of your account. You can create a new page by navigating to the Pages > Add Page from the Admin area. Once the page loads, you can add your Page title and content, as well as setting a number of extra settings below. To limit your page, choose who has access to the post by changing the ‘Page Access’. By default, both Members & guests can view the post. Members are considered users who have a username and password are required to login to view the page. Next, select any lockdowns you wish to apply. By selecting the lockdown areas, you are choosing to only allow people who meet the lockdown criteria to see it. 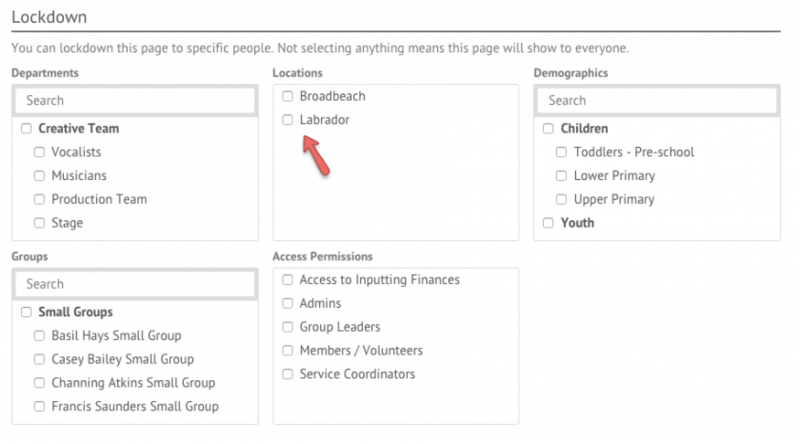 For example if you select the Labrador location, only people within that location will be able to see that page. Make sure to select the ‘Only Members Can View This Page’ under the ‘Page Access’ options if you have applied any lockdown areas. Otherwise guests will be able to see all posts. Your will also need enable people to have the Member area > Pages > Allow access to ‘Pages’ option in their Access Permission. This can be modified by navigating to Settings > Access Permissions in the Admin Area.